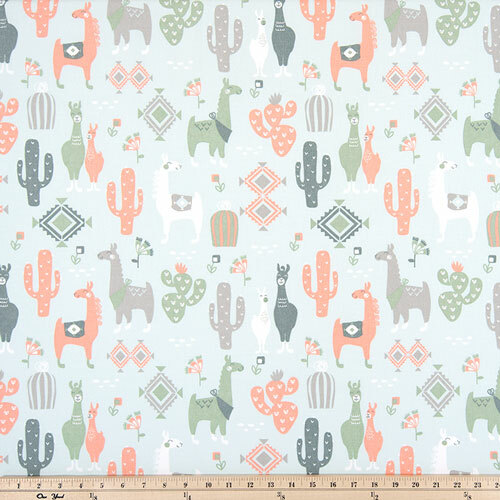 Llama Love Sundown fabric. Fun, playful and made for creating irresistibly charming interiors. This unique motif is perfect for when you need to bring joy into your child's bedroom, nursery or rumpus room alike. We adore it as throw cushions, accent pillows, duvet covers or table linen accessories. Colors include sage green, peach, gray and white on a pastel blue background.